Spring is just around the corner (officially on Thursday!) but the urge to do a bit of early spring cleaning compelled me. I've always had a difficult time managing my closet, and even though I make quarterly trips to donate, it seems like the clothes keep multiplying. Something really needed to be done. I threw open my closets and drawers and piled all of my clothes that I owned onto the bed with one goal in mind: Reduce my clothing pile by 50%. 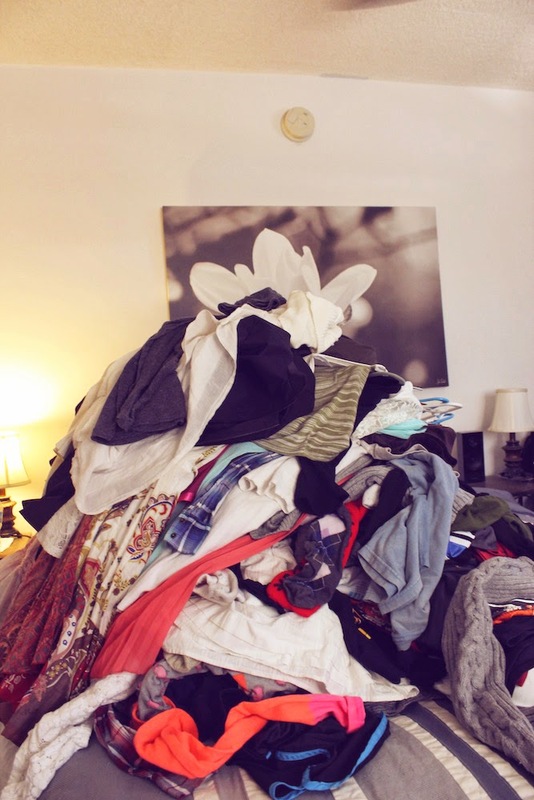 My strategy: Dump clothes into a pile, separate clothes into like-piles, and then go through and make "Keep" and "Giveaway" piles. It was a lot harder than I thought it would be, but I was amazed at all of the crap I had accumulated. I mean, I found an Orlando Magic jersey and a Space Camp t-shirt from when I was a kid! 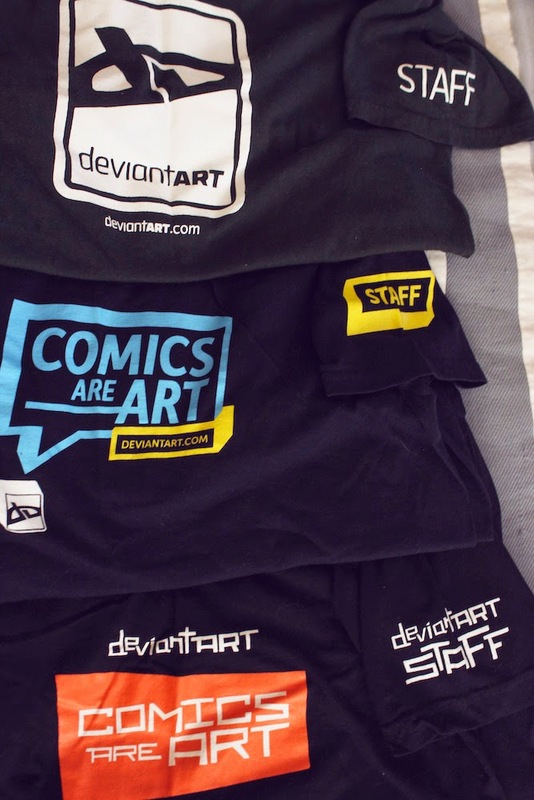 26 deviantART shirts! These were dA Staff shirts from SDCC! I created a nostalgic rule to keep 10 pieces of clothing that were just sentimental. I went to Space Camp in the 4th grade, and my father took me to a billion concerts, one of which was Bob Dylan! Gave away 10 dresses, one of which was this great summer dress. My closet is still pretty full... but at least it all fits! A billion bags (7) of clothes to donate. And a bonus cat! After four hours of sorting and reorganizing, here are some stats! 74 items of clothing donated! Still a long way to go, but what a load off of my wardrobe! I'm not accustomed to spring cleaning, it's definitely made me (and my bedroom) feel a lot lighter. Happy Monday, friends!